Book tee times or packages online with us at Penina Championship golf course and get up to 35% discount. 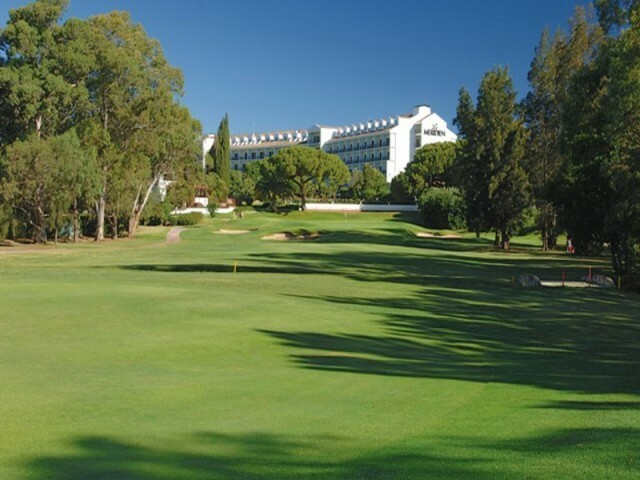 The Penina Championship Golf Course which is truly the grandfather course of the Algarve. Designed by Sir Henry Cotton and inaugurated in 1966. It is the prominent part of the residential and holiday estate near Portimao which also includes two other nine hole courses, the Academy Golf Course and the Resort Golf Course. The golf course is always beautifully maintained, winding past tall stands of eucalyptus and clumps of palms to the mainly elevated greens which have subtle slopes and sometimes treacherous speeds. The Penina Championship Course has acted as the home for many Portugal Open Events. Something short of half a million shrubs and trees were planted to convert the paddy fields on which the course is laid. As all the fairways are flat Sir Henry Cotton has introduced many strategic water hazards, streams and bunkers designed especially to catch the long hitter. Some small refinements have been made to the original design to enhance the visual aspect and some water hazards have been extended but overall it remains the same as when the course was first played. The Penina Championship Golf Course should be seriously considered for your Golf Holiday Package.